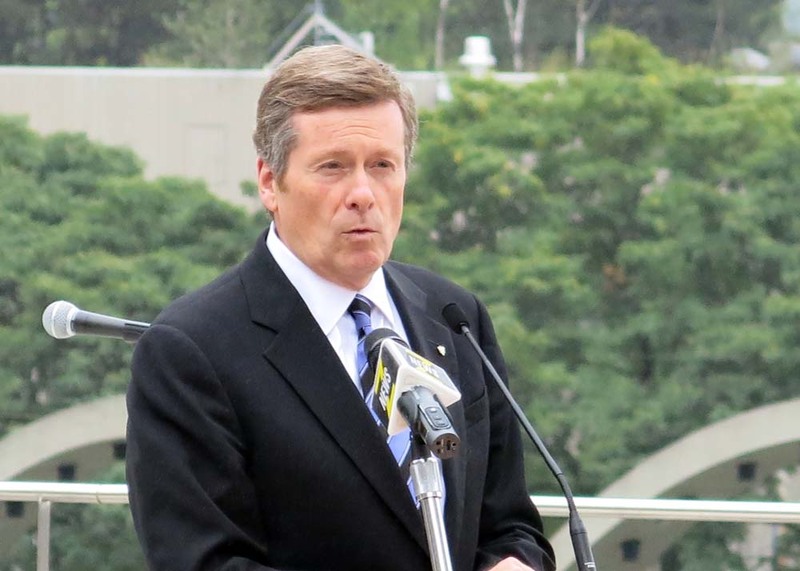 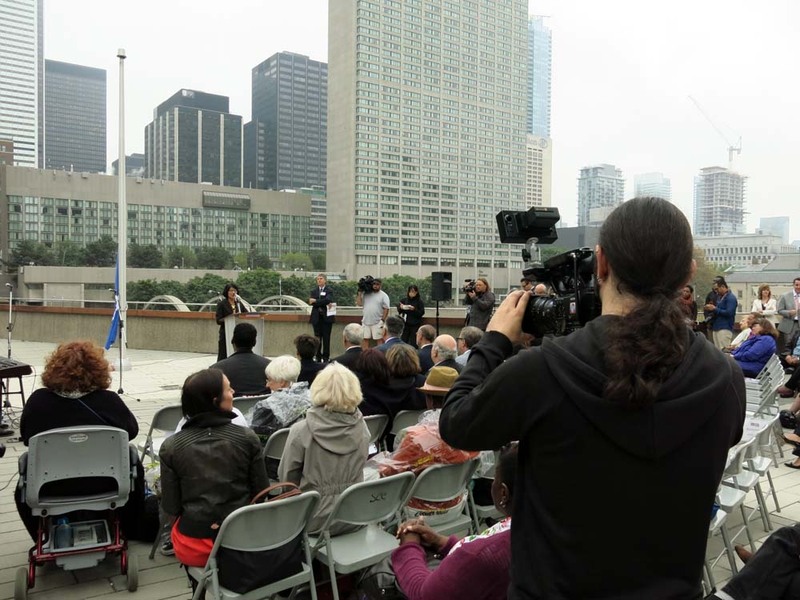 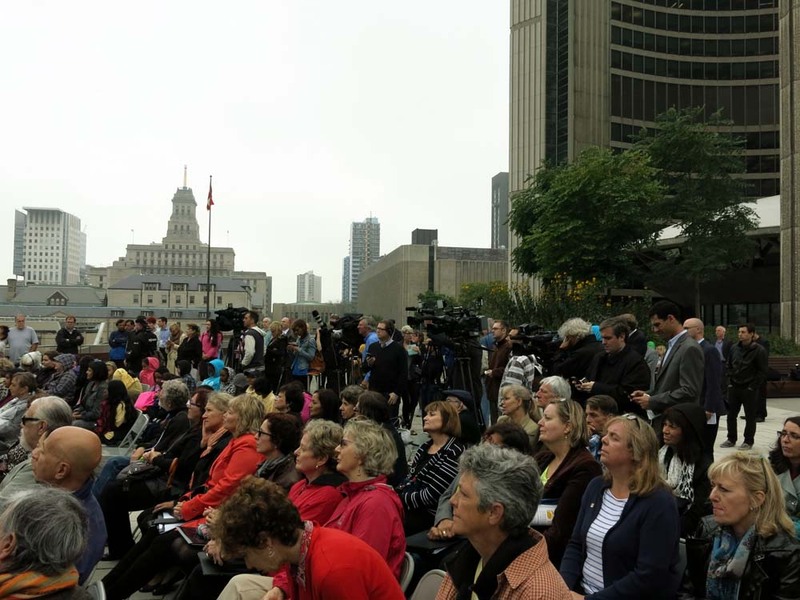 #Toronto had a flag raising ceremony at City Hall for the October 1, 2014 day of honour for the older generation. 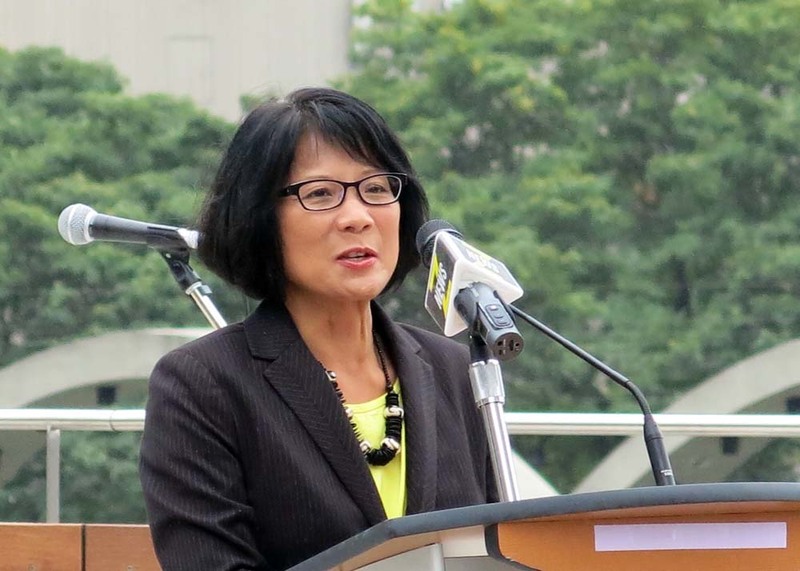 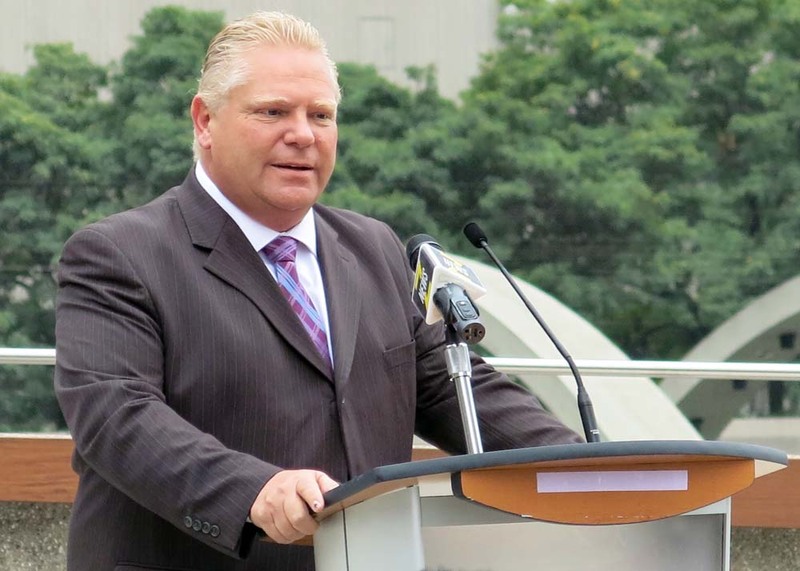 Some mayoral candidates dropped by and made small speeches for the media and members of the Canadian Association of Retired Persons (CARP). 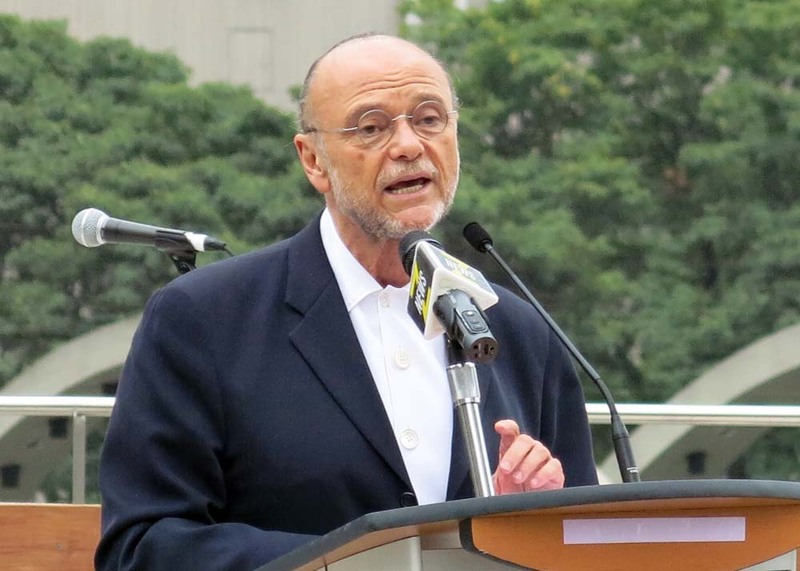 Moses Znaimer, President of CARP, above, also has some words to say in support of seniors and their ability to vote.